Back Cross lighting is a technique where two key lights are used and are placed behind the actors where their stands are just out of view of the camera, or rigged from overhead. Each individual light acts a keylight for one actor and also as a backlight for the other actor. 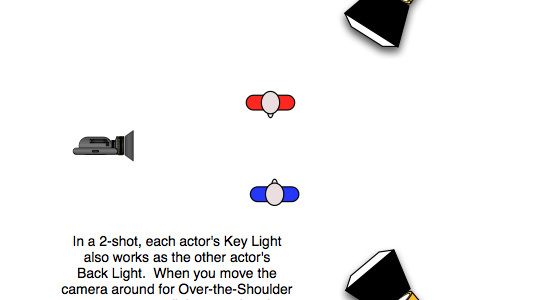 Cross key uses 2 lighting instruments to key a scene, most often involving 2 subjects. Oftern however, 2 lamps are used to light one subject.